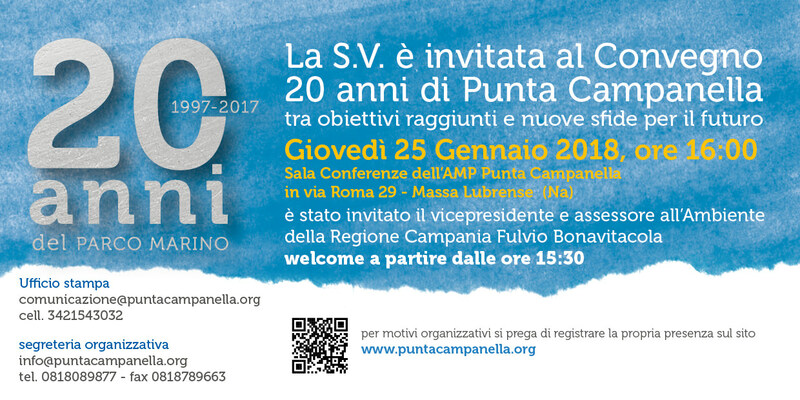 The conference on “20 years of the MPA of Punta Campanella, between objectives achieved and new challenges for the future” was held on Thursday 25 January in the conference hall of the Marine Protected Area in Massa Lubrense. For the occasion, the new interactive Visitor Center of the Marine Park and the Blue Discovery App have been presented to the public. Fulvio Bonavitacola, vice-president and councilor for the Environment of the Campania Region, was also invited to the event, while at the Park’s conference room the work carried out from 1997 to today was analyzed and the future guidelines drawn up. After the institutional greetings of Lorenzo Balducelli, the Mayor of Massa Lubrense, and Michele Giustiniani, the President of the Park, the Admiral Arturo Faraone and the President of Federparchi Giampiero Sammuri also introduced the event. 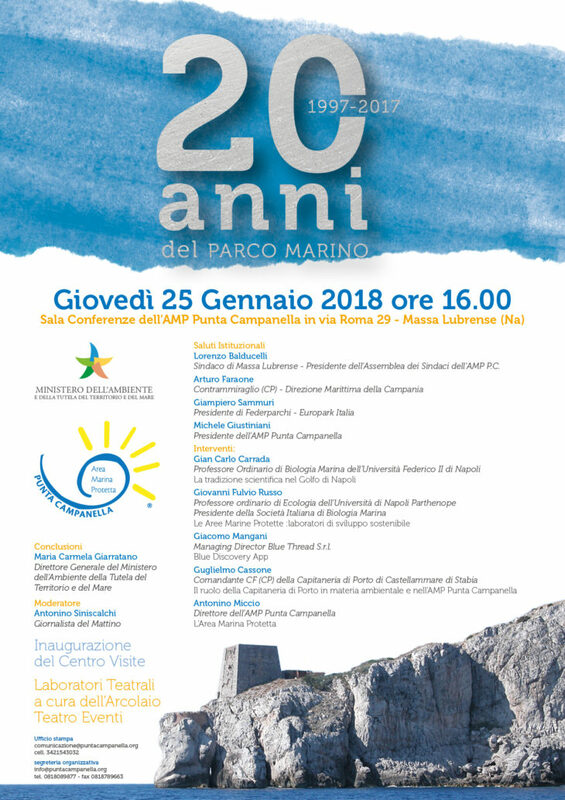 Following the speeches by Gian Carlo Carrada and Giovanni Fulvio Russo, Professors respectively of Marine Biology at the Federico II University and of Ecology at the Parthenope University of Naples, by Giacomo Mangani, managing director of Blue Thread, by Guglielmo Cassone, Commander of the Port Authority of Castellammare di Stabia, and of Antonino Miccio, Director of the Marine Protected Area of ​​Punta Campanella. The conclusions were entrusted to Maria Carmela Giarratano, General Director of the Ministry of the Environment. The journalist of Il Mattino, Antonino Siniscalchi, moderated. March 14th, 2014: First Blue Thread’s Mobile App now available on the Android Store!